Poetry teatime is my absolute favourite part of the Brave Writer lifestyle. We enjoyed one this morning. Here’s what we did. I lit a candle and put a posy of summer flowers as a centrepiece. Often we gather flowers from the garden. Today I grabbed the fake flowers that normally live in our downstairs loo! 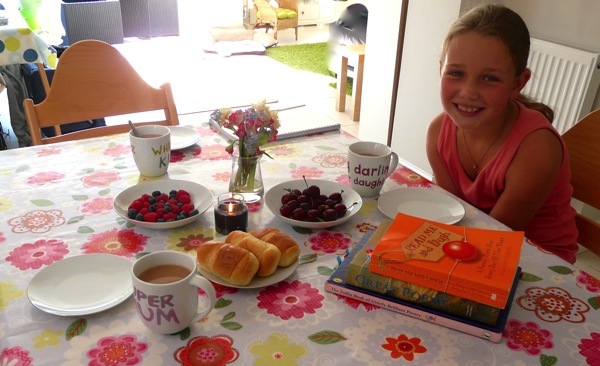 This morning’s poetry teatime was mid-morning, so I set out raspberries, cherries, blueberries and brioches. I made cocoa for the children, and tea for me. Everyone chooses their poems beforehand. They can take as much or as little time as they like over this. There are no rules. C(9) spent much of last term writing out poems for copywork. She chose to read a few of these. I selected a few short, funny poems from Read Me And Laugh. Poetry teatime usually kicks off with the children commenting appreciatively on how good the table looks (apparently it’s a rare thing!). Then we tuck into food and poems, taking turns around the table to read. Both my kids adore reading poems aloud; they do it with gusto. For J(8), especially, this is an excellent opportunity – his desire to entertain completely overcomes his reading difficulties, and he amazes us with his fluency! I memorised them for English O Level when I was fifteen, and I quote them frequently. When I read The Well-Trained Mind, I loved the idea of my children happily committing long verses of classical poetry to memory. That was before I realised that I’m not the kind of parent who can “require” my children to do things (even if that were possible). But… I was so glad I’d learned the Tennyson. Would my children miss out, because of my non-insistence on memorisation, I wondered? Over time, our poetry teas have given me the answer. Today, for example, J(8) announced that he was going to read one of his favourite poems – Sky In The Pie! by Roger McGough – “because I want to know it off by heart”. My children can recite plenty of poems, and find dozens more by their first lines. Not because I made them, but for the sheer joy of it. Will they always choose “easy” poems? My answer to this question came quickly. For a year, we shared weekly poetry teatimes with a slightly older family. It was interesting to observe the poetry choices among the differently aged children. I noticed how the teenager tended to choose longer, more sophisticated works. And over time, I’ve begun to notice C(9) choosing more complex poems – though we all still love limericks. As for me, I don’t go out of my way to choose poems to extend the children’s repertoire, but neither do I dumb down my choices. I read long poems and short ones, funny poems and serious ones, straightforward and allegorical poems, poems about spring, or elephants, or war, depending on my mood. If a poem inspires me, my appreciation will speak for itself. 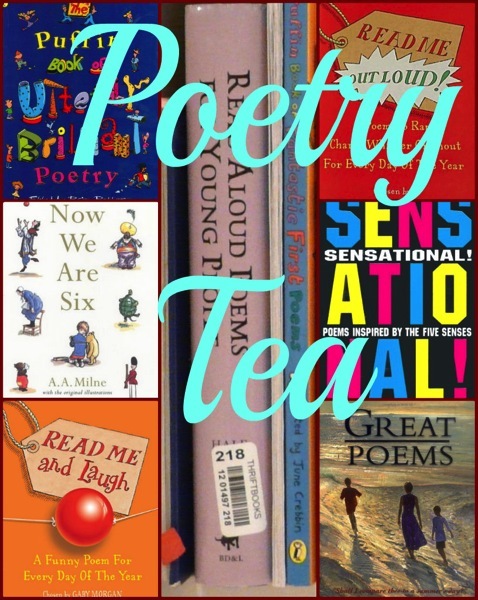 We were inspired to buy most of our favourite books by the friends who introduced us to poetry teatimes. I’d love to hear of any other recommendations you might have. One Magnificent Obsession – Our First Poetry Smoothietime! Here at Navigating By Joy I post regularly about the hands-on way we homeschool science, maths, history, English, art, geography and a lot more besides. This is a great post. I love how you talk about all the details. We do similar poetry teas. Lucinda, Those poetry books look like great fun. Thanks for the suggestions. My girl turns 8 in a few weeks and I know she’ll appreciate receiving a few. PS – Speaking of reading older poems to the kids at tea time…last night my husband read the cremation of sam mcgee…omg! I would never have chosen this poem, mainly because I had not heard it, but the kids giggled furiously! Hi Savannah, yes a few of our books were given as very welcome Christmas presents – I’m sure your daughter will love them. I’m listening to Johnny Cash read The Cremation of Sam McGee right now on Youtube – love it!! What a rich resource this account of your poetry teatime is. Lots of yummy new books and ideas for me to borrow or buy! Thanks for sharing it. Thanks Vanessa! 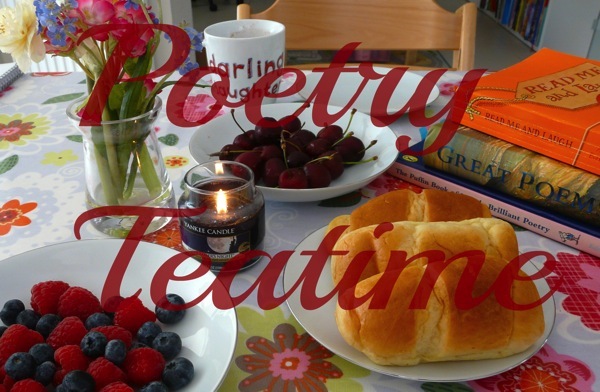 I love reading about other people’s poetry teatimes too – so many ideas to be inspired by! And thanks for the suggestion – I was long overdue to express my appreciation directly to Julie, but I’ve done it now! 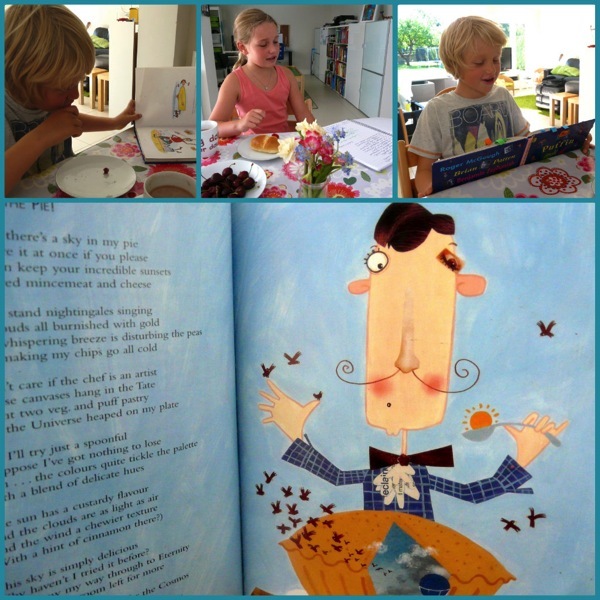 It looks like poetry tea time is a big hit in your house. I’ve read about similar methods on other blogs and will have to try it, and be consistent with it on a weekly basis. I like the way the kids select their poems in advance. I like us to choose poems beforehand so that we can each be present to the others’ reading, instead of thumbing through books instead of listening. But often we find extra poems as we go. We’ll be starting poetry tea times this year. We’ve always had special tea times and special poetry reading times but never together. Class idea which I am shamelessly copying! I can’t wait to read about them, Claire. I know you’ll do it in style! I am with Claire we do both seperately so you have inspired us to combine them this afternoon. We also have just made some invites to a Poetry teatime with some of my girls homeschooled friends towards the end of September. They are “totes” excited and have already planned the menu! Thanks for the idea, Lisa! My children are now very excited about inviting a series of their friends to our teas this term! 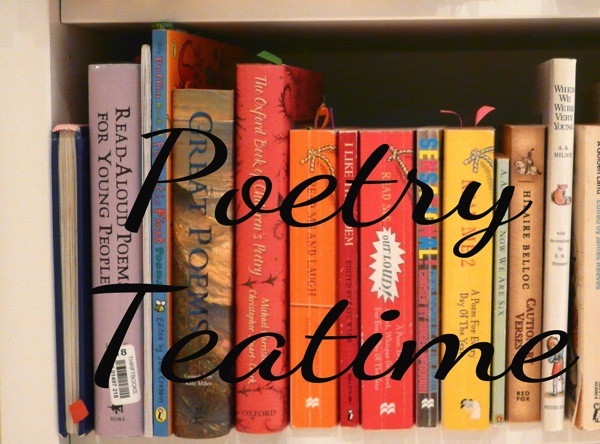 Thank you for detailing your thoughts/questions about how poetry tea time might and has evolved – I’ve read a couple of posts about poetry tea time in the past year, and keep thinking about getting around to it. I need to pull out our poetry books, and jump into it, because it seems like a great experience, especially when done regularly. It really is such a lovely ritual, however often you do it. I bet you’ll do it beautifully! You know I might actually incorporate poetry with this method……. It’s pretty low-planning, which I like. I love this – you are inspiring me to do this with my children this year – I’m wanting to encourage my son, especially, to be more interested in poetry. Thanks for such a great post, and for linking with Collage Friday. Thank you, Mary! My 8 yr old has really got into poetry thanks to our teas – I’m sure Grant will enjoy it too. I recommend access to lots of funny poems 🙂 Thanks for hosting Collage Friday. We love poetry teas. I love how you put yours together. I love your list of poetry books too. They’re such a lovely part of a homeschool routine, aren’t they? thank you, Dawn. Oh my goodness. I haven’t heard of this. What a fun way to experience poetry. Thank you for sharing the idea. Do give it a try, Lorie – you’ll love it! Thank you, Kym (sorry, I seemed to miss your kind comment before!). It was a lovely tradition I was very appreciative to borrow! My girls would love this activity. It would also help make reading more exciting for my struggler! Thanks for sharing! Stopping by from the Hoggatt Homeschool! Yes I think this is one that appeals to everyone. Have fun! Shoot me an email if you’re up for it! That looks like fun. I am impressed with your poetry book selection. I might have to try this. Do come back and let us know if you try it, Beth. Poetry teas are lots of fun! So fun! I used to do this when my now 7th grader was younger and we let it slip by the wayside. 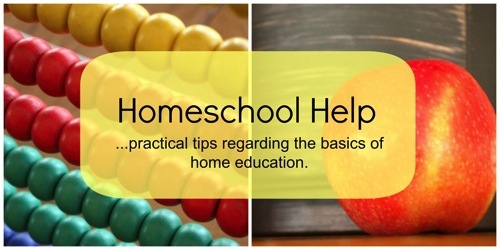 It’s on my list of things to incorporate back into our homeschool year! I love this time of year – so much opportunity for new beginnings and bringing back old favourites! What a lovely setting for a memorable tea! We’ve occasionally done tea time and poetry in the past but have gotten out of the habit. You’ve inspired me to continue! Thank you Tonia! I’ve just subscribed to your blog in Feedly – I can see there are lots of great ideas to inspire me, too! How frequently do you do this? Weekly? And how long do you spend, or do you not time it at all? Thanks!